When I first made these I thought they were too rich – but after enjoying one or two out of the fridge over the past day – I actually reckon they are pretty good and they even disappeared out of the school lunchbox – so I am happy! Desiccated coconut for rolling balls in. In a food processor, place pecans and process until coarsely chopped. Add the remaining ingredients (not the coconut) and pulse until well combined. Try not to over process as the mixture gets oily. These will last ages if they are not all eaten first. 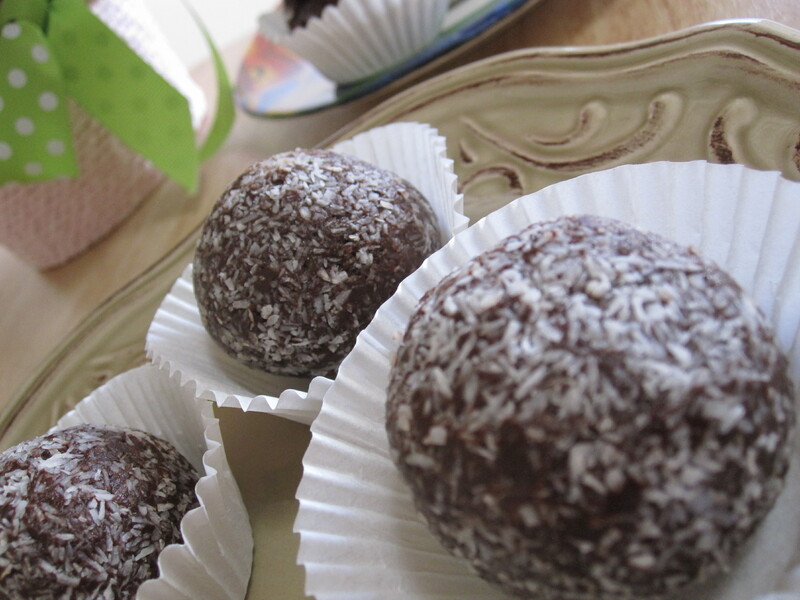 Thanks Jenny Ross for this great recipe from Raw Food Basics.